Osprey Talon 22 vs Stratos 24 - which is better? We can’t believe you want to make us choose between the Talon and the Stratos – probably two of the most beloved Osprey daypacks ever made. Which is quite a feat, considering how many hiking backpacks Osprey actually make. It’s like asking whether the Appalachian Trail is better than the PCT..hint: they’re both awesome! Nevertheless, since you asked nicely, let’s cut the BS and get down to it. While we love both of these veritable titans of day hiking backpacks, the Talon wins by a hair. Why? It’s just a bit more versatile than the Stratos. It can be used adeptly by hikers and bikers alike, and while the Talon 22 is a slightly smaller pack in terms of its capacity and dimensions, it does have an expandable front pocket and an outer pocket for the hydration sleeve which actually makes it comparable to the larger, heavier Stratos 24. Now, for the avid hiking enthusiast both the Talon 22 and Stratos 24 are a solid choice of backpack for whatever terrain you are conquering. The two packs have very few differences between them and are both suitable for the day hiker who wants to stay hydrated and carry several items of specialist equipment on the trail, such as hiking poles, or ice tools, which can be easily attached for whatever exploration awaits. And take it for a given that both these packs are extremely comfortable with excellent weight distribution and back ventilation. With that out the way, there are a couple of reasons why you might decide the Stratos is a better option. Plus, we wouldn’t be doing our job if we didn’t provide a third option, just to keep you on your toes – so more on these below. Want more options? Check out our best hiking backpacks buying guide, where you'll find some larger options for lengthier backpacking trips, rather than just day hiking. The ​Talon 22 may be more suitable for cyclists as it features a Lidlock Helmet Attachment. The ​Stratos 24 however may be more suited to wetter conditions as it comes with its own rain cover. The Stratos 24 has a capacity of 24L providing 2L of extra space in comparison to the Talon 22. Keep in mind though, that this does include the hydration pouch which will narrow the difference by about 1L. The Talon 22 locates its hydration pouch on the exterior of the bag, which makes for easier refilling and lowers of the risk of damaging anything inside the bag should there be a spill. Each of the packs feature a separate front pocket on the bag, though they differ somewhat in their design. The pocket on the Stratos 24 is a vertical zip pocket which is good because it ensures your belongings wont easily fall out while still being easily accessible. The Talon 22 however has a fancy stretch pocket, which may be helpful for stashing an extra clothing layer, but doesn’t appear as secure as the zip option. A notable difference between the two packs is the location of their hydration pack. Both are compatible with Osprey’s Hydraulics Reservoirs which is handy indeed. On the Talon 22 you will find the hydration pack on the exterior of the bag which makes for quick and easy to access and means your fluids won't take up any of the internal space of the bag. If carrying cameras, iPads or other electronic equipment this would be preferable as no one likes water near expensive electronic equipment. The Stratos 24 has an internal hydration pouch in the main compartment but still appears fairly easy to access. The Talon 22 is equipped with a LidLock Helmet Attachment which securely fastens your helmet to the top of the pack, making it an ideal choice for cyclists. The Stratos 24 does not have a helmet attachment however it does come with its own rain cover, tucked away in a handy little compartment. The Stratos 24 therefore, is likely a better value choice for use in wet weather, unless you are prepared to invest in an additional rain cover for your Talon 22 of course. Both backpacks have enclosed zip pockets on either side of the front belt strap, really useful for a small cellphone, an easily-accessed snack or conveniently stashing your car keys without having to take the whole pack off. The backpacks both have attachments for Osprey’s Stow-on-the-go Trekking poles. The trekking poles can be removed and attached back on easily to the exterior of the bag to suit the different needs of the terrain. If you don't own or use their specific poles, then this is really of no advantage. The Talon 22 pack has what Osprey calls a AirScape back panel, which means that because it is constructed with less material and glue, it is especially breathable and provides greater ventilation for hiking in warmer climates. The Stratos 24 has AirSpeed back paneling which is designed with padding for comfort as well as ventilation. Both back panels are tensioned and are able to be adjusted to different torso lengths providing a more customized fit for the wearer. The differences here are fairly minimal as both packs do provide a degree of padding, adjustability and air flow. These backpacks also both feature an ice tool bungee tie to keep tools in place. Though it’s probably uncommon for many hikers to be plowing through ice with these smaller day packs, this does add an element of versatility and may be useful for other items such as a camera tripod or your selfie-stick. Both packs are made from Nylon which is an excellent material for the outdoors as its long lasting and has better ventilation in hot sweaty conditions. Both packs come in four standard color options suited to males or females. ​An increasingly popular alternative and similar size backpack to the ​Talon and Stratos is the ​Kelty Riot 22 (link to Amazon). ​​The ​Riot 22 is a similar sized pack (22L) with a lower price to the Talon 22 and the Stratos 24, but for the lower price you will also forgo many of the additional features. The Riot 22 might be a better choice for the more easy-going ​hiker, it’s a simpler pack, and does not include the additional attachments for tools that the Osprey packs do nor is it equipped with a hydration pouch. However, for many casual hikers a water bottle in the side pocket is sufficient, and a lighter bag may be preferable. The Osprey is a hardier and more versatile bag for differing weather conditions, and likely more appealing to committed hikers and those needing to carry a few more additional items. ​Let’s recap: Both the Talon 22 and Stratos 24 are top-drawer hiking daypacks. They share a lot of the same features we’ve come to love from Osprey, meaning whichever you choose you know it’s comfortable, high quality design, and built to last a very long time. A hiking friend said he had his Talon for 5 years and counting – that’s the standard we’re talking about here. The Talon 22 just about wins out, however, due to its amazing fit (it’s like it’s not even on your back) and its versatility - the Talon 22 is a preferable pack for cyclists, or for those who want something a bit lighter. ​​Hold up! Due to popular demand, we’ve updated this guide with a full comparison of the Talon with Osprey’s Tempest 20. A lot of folks see the Tempest as a great women’s specific alternative to the Talon. With women in mind, Osprey added a stretchy harness and continuous wrap hip belt for more stability. The Osprey Tempest 20 and Talon 22 are lightweight, compact, and durable packs that are perfect to bring along on short day hikes or commutes. Both packs are designed with useful features to add convenience to your trips. The main differences between the Tempest and Talon are capacity and fit. Both packs are versatile in their purpose. However, one common criticism of the Tempest is that it’s almost too lightweight, and made from thin material that doesn’t stand-up to rigorous backpacking (don’t even think about going canyoning with it). With that said, when deciding between the Tempest 20 and Talon 22, the key factor will be overall fit and comfort. Let’s take a closer look at each pack’s features to help clarify which model you need. Bottom Line: The Tempest is the women's version of the Talon. ​The Osprey Talon 22 measures at 14 x 15 x 14 inches whiles the Tempest 20 is a longer pack, coming in at 20 x 14 x 4 inches. The Tempest weighs in at a light 0.86 kilograms or 1.89 pounds and the Talon is an even lighter option at 0.81 kilograms or 1.78 pounds. As their names suggest, the Tempest has a capacity of 20L and the Talon a capacity of 22L. The Talon is designed for a general population fit, while the Tempest is created with hip belts that specifically cater to women. The construction of the Tempest makes it an ideal pack for people of smaller stature, while the Talon is available in larger sizes. One differences between the Tempest 20 and Talon 22 is their size. The size difference is not exceptionally large, but does affect the carry feel. The Talon is 6 inches shorter than the Tempest. This affects the way the pack sits on the torso and plays a big role in your overall comfort. Both packs are extremely lightweight, as that is one of the main purposeful features of their design. The Tempest 20 is just a bit heavier than the Talon 22. When it comes down to it, the weight difference between the packs is unlikely to be noticeable when they are empty. Even when these backpacks are stuffed to total capacity, they will remain lightweight. Weight should not be considered a decisive factor when choosing between the Talon and Tempest. While comparing size and weight yields slight differences between the Tempest 20 and Talon 22, it is the capacity that is the significant distinction. The Talon has a capacity that is 2 liters more than the Tempest. Having 2 liters of extra space may allow you to carry tools or equipment that while not essential, would enhance your experience. The capacity of these packs is definitely an important factor to keep in mind for your final decision. The Tempest is considered the ‘women’s’ version of the Talon. The feature that makes the gender distinction is the narrower and deeper shape of the Tempest. The Tempest 20 is constructed with a shoulder harness and hip belts that are shaped with curves and angles to accommodate the difference between the female and male build. These features make the Tempest an ideal choice for many women in terms of comfort during loading and transitions. While the Tempest 20 is designed with women in mind, it is also a practical and reliable pack for some men. The Tempest is perfect for people of smaller stature. That doesn’t necessarily limit its usefulness to women. Some packs designed for the ‘typical’ male build run very large. The Tempest is a sturdy option for men on the smaller size. The Talon 22 is the better option if you are a larger person, man or woman. The adjustability of the Talon facilitates a larger range of height and weight combinations. 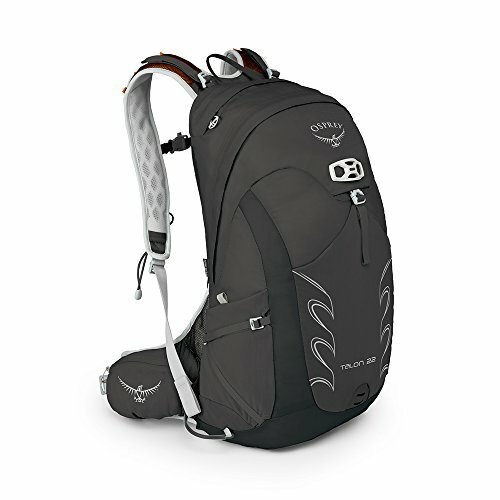 ​Both the Tempest and the Talon accommodate a 3 liter hydration pack for maintaining water intake on your day trip. The Talon and Tempest are designed to be extremely lightweight and are meant to be used for day trips. Their lower capacity makes them ideal for use as airline carry-ons, as well. Both backpacks are large enough to carry laptops, although they do not have designated sleeves. This makes them versatile and practical for various trip types. The Tempest and Talon are both made with two zippered hip belt pockets. These storage areas are useful for carrying things like cell phones, snacks, and music players. 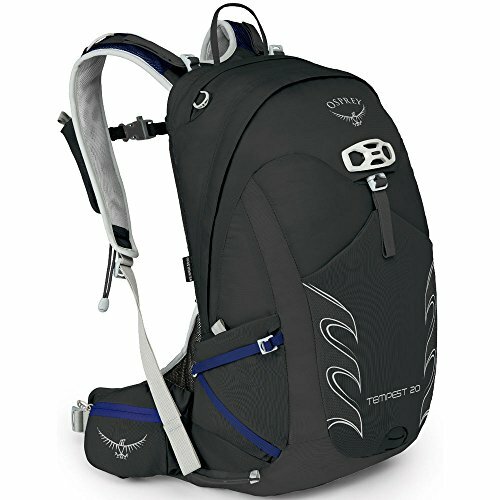 Osprey Tempest 20 vs Talon 22 - How Do They Compare? 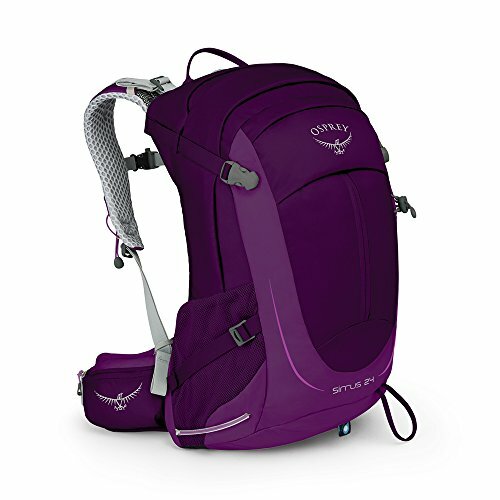 ​If you’re still not sure what to think, check out the Osprey Sirrus 24 in comparison to the other two packs. Also built with a female specific design in mind, the Sirrus 24 bring you fiirmly into multi-day backpacking territory with its extra capacity. The most obvious difference between the backpacks is that the Sirrus has a larger capacity, at 24 liters, than either the Tempest 20 or Talon 22. This means that you have even more flexibility in what you pack for your day trip or airplane ride. The Tempest 20 and Talon 22 will be lighter weight than the Sirrus 24 when fully packed, which may make your day more comfortable overall. The Sirrus 24 is a smart option if you’re looking to carry as much as possible on a day trip while staying in the lightweight pack category. The Tempest 20 and Talon 22 offer greater flexibility in fit and a lighter carry due to their capacities. ​​So, what does it all boil down to? The Tempest 20 and Talon 22 are durable and practical day packs that each serve an important purpose. If you are a woman of smaller statue, the obvious frontrunner is the Tempest 20. You will benefit from the combination of a lightweight carry and a fit that is specifically contoured to your natural curves. The Talon 22 provides greater flexibility and a bit more space for packing for your day trips. While the fit is not specifically designed to complement women’s curvature, it will still sit comfortably.